McDonald's is celebrating the 30th year of the Happy Meal in Sweden by offering Happy Goggles. By re-folding the Happy Meal box, customers can create a pair of Google Cardboard-style virtual reality glasses and slot in their smartphone to watch VR content. Together with the Happy Goggles McDonald's is also launching a VR skiing game "Slope Stars", a 360-degree ski experience. The game is endorsed by the Swedish National Ski Team. 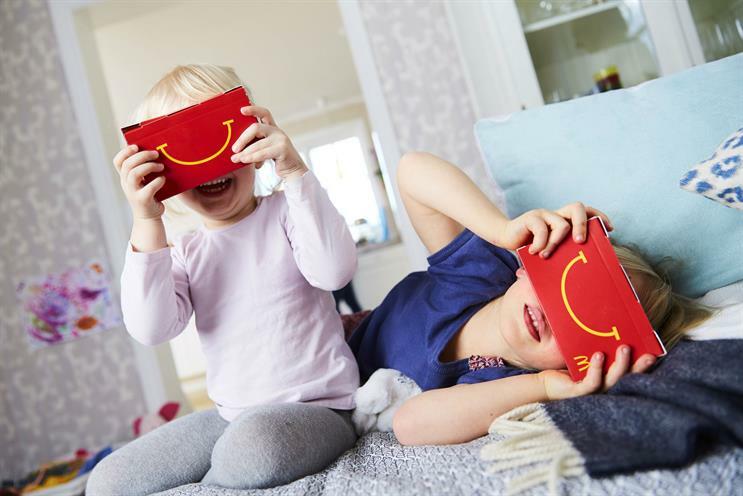 "The Happy Meal is one of our most loved menus and therefore an appropriate platform for reaching out to our family customers through experiences that focus on play and learning," said Jeff Jackett, marketing director at McDonald's Sweden.